August 25 dawned with a hint of rain and cloudy skies; although we desperately needed rain, we hoped that there would be none for the next couple of hours as today was the Club’s Annual Go Kart Challenge. 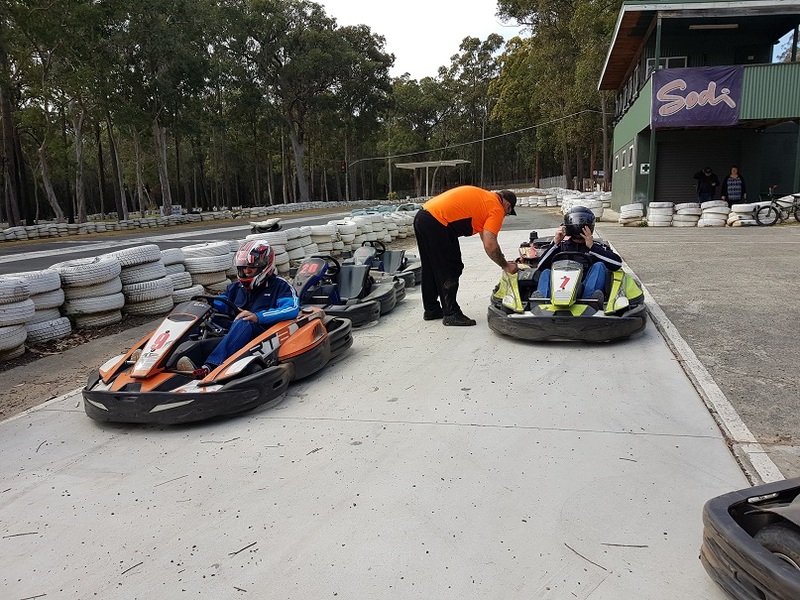 The meeting place was the open air Go Kart Track about half way between Port Macquarie and Wauchope. The early morning light rain meant that the roll call was fairly small. 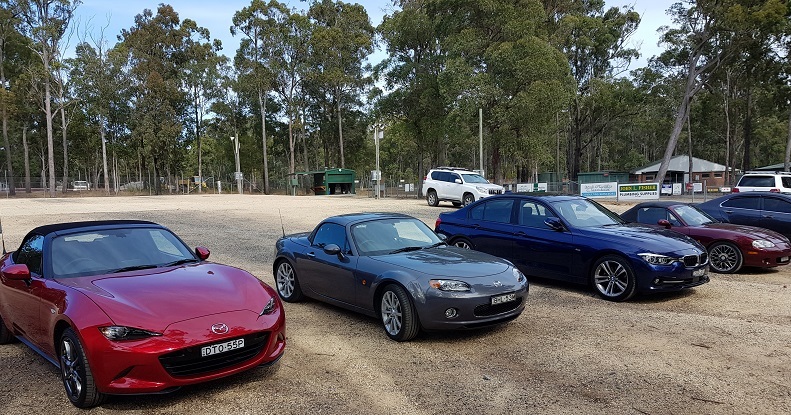 Cathy and Wayne had made the run down from Kempsey in their NB, Allen and Pam arrived in their ND taking great care not to raise too much dust in the parking lot as their car was newly washed, Graham had his blue MX-5 BMW and John was in his NC. A quick round of phone calls confirmed that the regular Go Kart participants were touring around Australia or had family commitments. Wayne and Allen were to be the only contenders and they went down for registration whilst the rest of us watched a group on the track. This was the first time our club had been to the outdoor track and it seemed huge compared with the usual indoor facility in Port Macquarie. After registration Wayne and Allen studied the cars already on the track to determine which of the cars they would select for their drive. It was time for the race. Helmets firmly affixed, Wayne and Allen selected their karts and were off for a tilt at winning the Annual Go Kart Trophy. Neither showed any quarter and were soon hurtling around the track; Wayne demonstrating how to slide around some of the tight decreasing radius turns whilst Allen pushed on hard. Although the session was only 15 minutes it took quite an amount of stamina and we could see it was very tiring. 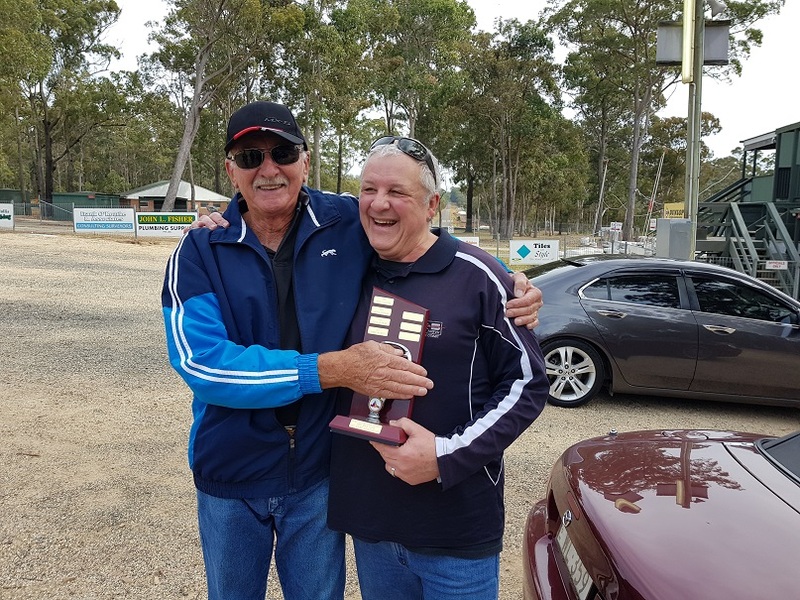 Wayne is an ‘old hand’ at Karting and came in first place with Allen in second spot. Both finishing to thunderous applause from the sidelines! Graham, the club’s convenor, conducted the trophy presentation ceremony where Allen vowed he would be back next year. Watching and racing certainly builds up an appetite and we eagerly went on a bit of a scenic tour to our lunch destination, the ever popular Rivermark Café. Lunch was a very convivial occasion with the food living up to the Cafe’s reputation. There was plenty of time to socialize and the time flew before we left for home. We all agreed that it doesn’t really matter what the numbers are on a run as we all have an enjoyable time with good companionship and good food. 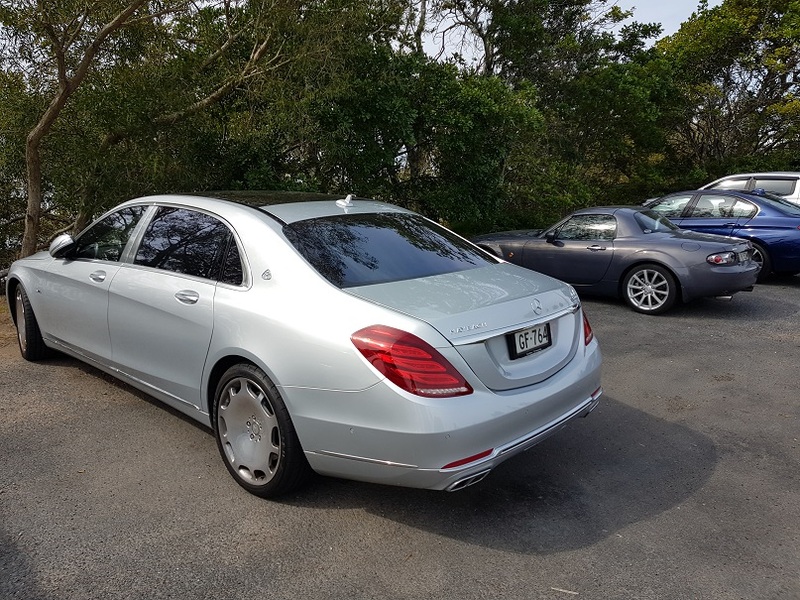 On the way back to our cars Graham pointed out that parked between our cars was a Mercedes Maybach which although had beautiful lines, appeared massive alongside the NC. Just goes to show one never knows what interesting things will turn up on our car runs!